"Fished" from its hole with a grass stem. 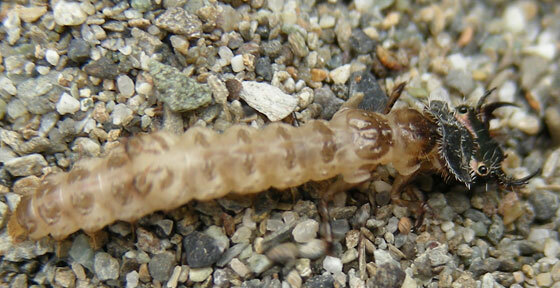 One of many larvae in holes in damp sand. I've photographed two species in this location on the sand, C. oregona and C. depressula.